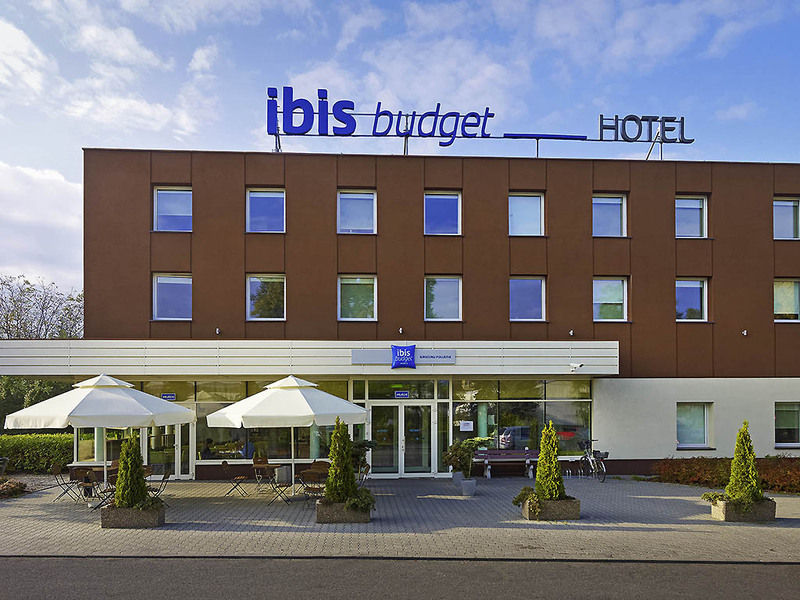 The ibis budget Wroclaw Poludnie hotel is located in the south of Wroclaw, close to the exit road to Kudowa Zdroj, near the A4 highway. Located just 2.5 miles (4 km) from the city center, this economy hotel offers 108 comfortable, air-conditioned rooms with WIFI. We guarantee good quality accommodation with affordable rates. Everything was comfortable, room was super clean. Very quick check in and check out and helpful concierge on reception. The only thing that may improve the experience may be adding small shampoo and toothpaste packages or at least a shoehorn. Thanks! Somewhat more Spartan than I had hoped for in an Ibis. Reception was polite swift and efficient. My request for high floor and quiet location had been needed. The room itself was very snug and the bed quite uncomfortable, a thin mattress on a solid board base. The cleaners were pleasant and efficient, replacing my towels as requested. I was glad that my brother in law had declined the offer to accompany me on this trip. Breakfast was by far the least appetising of any Ibis hotel I have stayed in, despite costing as much as the much superior ones I have had in Gdansk, Warsaw and on my previous visit to Wroclaw. The location close to the radio/television station tram stop is in a quiet residential location, the only disturbed sleep I experienced was when a party of German school/students managed to slam more doors between the hours of 23.00 and 02.00 than a Brian Rix farce. Will I be returning? No. The ventilation was very noisy. At the cost of this hotel I must admit I wasn’t expecting much, however sadly it fell short of even those expectations. The beds were incredibly uncomfortable, there was no hotel bar, and indeed we weren’t even allowed to drink the cans we bought from the hotel vending machines in the lobby. Overall, it was just somewhere to sleep as we explored what Wroclaw had to offer, and the staff were polite and helpful, but if I visit the city again I’ll opt for another ibis hotel as normally they’re pretty good. Sorry it was only one night ! Easy to reach that place. Clean room with own bath and toilet. Usually clean, warm and practical. Nice clean room, good breakfast .Excellent for the price. The towels were dirty. Drain in the sink was clogged. The maids were very noisy when cleaning the next room and I could not sleep because of them. Very nice and open employees: front desk ladies, room service and even security. Hospitality on a level of 5* hotel. I would like to thank personally the front desk lady Ms. Natalia for exceeding my expectations during my each visit in the hotel. Always very helpful and very nice with a perfect recognition of customer needs. Always look for Ibis Budget's when in Poland, just for the price and still haven't been let down. Not the most luxurious of rooms, but good enough, plenty of room & facilities that worked. Close to the trams making city access easy enough (about 25mins). Only slight inconvenience was the lack of shops and restaurants near the hotel. blablala. I hate these questionaires. Rooms and service was standard.If you stay in Ibis budget in Germany all parking is free. Is necessary to pay for parking, if we pay for hotel?